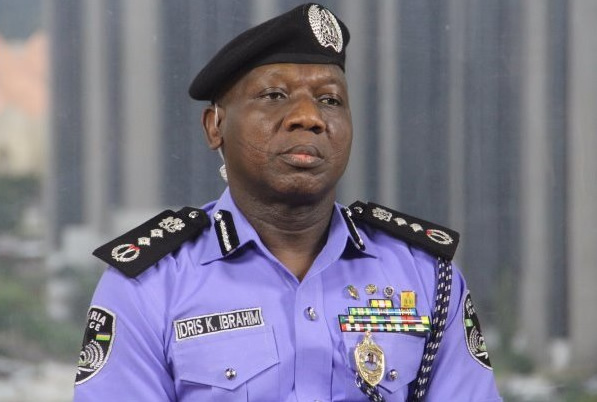 Following the security challenges confronting the nation, the Inspector General of Police, Ibrahim Idris, on Monday ordered the withdrawal of all police offices attached to Very Important Persons, including political and public office holders nationwide. The police boss, who announced this in Abuja during a conference with senior officers, stated that the directive also affected private businessmen, multi national companies and other corporate organizations who are enjoying special police protection. To this end, Idris explained that a task force had been constituted at the Force headquarters under the command of ACP Mohammed Dankwara to ensure compliance to the directive while state commissioners of police are to replicate same at their commands. Announcing his plans to withdraw the policemen on private guard duty, the IG said,“In view of the current security challenges in the country, it has become expedient for the Nigeria Police Force to streamline the deployment of its personnel attached to political and public office holders, aimed at enhancing effective and efficient policing of the country. "To this effect, a memo will be forwarded to the President for approval which will serve as a guideline or template for deployment to VIPs, political and public office holders in the country. Accordingly, a directive for withdrawal of all police officers deployed to VIPs, political and public office holders with immediate effect, is hereby given”he stated. Idris, however, explained that businessmen, corporate organisations and individuals who required special police protection and“are found worthy” would be considered by the Special Protection Unit of the force on application for revalidation through the state Commissioners of Police where they are resident. "By so doing, I am charging the Commissioners of Police with the responsibility of supervising such official deployment and thereby holding them accountable,” the police chief informed his audience consisting of senior police officers. The IG bemoaned the abuse of police Supernumerary number plates and the illegal use of siren and covering of vehicle number plates by motorists and warned the culprits to desist. He directed the holders of the police SPY number plates to return them to the Force Transport Officer and apply for revalidation. He also asked the state CPs to enforce the directive and arrest violators, adding that the list of task force teams that would ensure compliance to the order should be sent to the Deputy Inspector General of Police, Operations, by March 31, 2018.